The Anaheim Ducks have been bit hard by the injury bug early this season, but it appears the team caught a break with captain Ryan Getzlaf. Getzlaf has missed the team's past two games due to a groin injury, though Ducks general manager Bob Murray said he expects the 33-year-old to return to the lineup in the near future. The Ducks have opened this season without Corey Perry, Ondrej Kase and Patrick Eaves due to injuries. Kase (concussion) and Eaves (shoulder) could also return in the near future, but Perry is out until at least the new year after undergoing knee surgery. 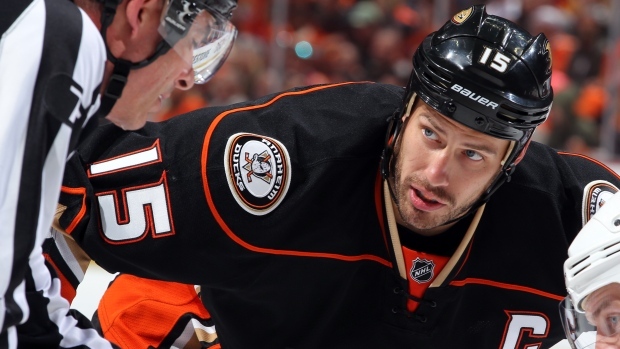 The team received some relief on Wednesday when Ryan Kesler made his season debut. Kesler's season appeared to be in doubt this off-season due to the effects of hip surgery in 2017, but Murray said he believes the forward has made significant strides in his recovery. Kesler scored six minutes into his season debut and logged 16:54 of ice time in Wednesday's shootout loss to the Arizona Coyotes. Despite the injuries, the Ducks are off to a 3-0-1 start to the season, tied for the most points in the NHL.